Starting with Windows 10 build 14316, users can now easily setup and turn on or off mobile hotspot in Settings. This tutorial will show you how to setup and turn on or off mobile hotspot to share the Internet connection from your Windows 10 PC with other devices. 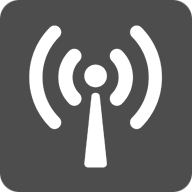 The network name (SSID) for the mobile hotspot will not be hidden in the list of available networks to connect to for devices. You can type the command below in a command prompt and press Enter to see if your wireless adapter supports hosted network (aka: mobile hotspot). 1. Open Settings, and click/tap on the Network & Internet icon. If you like, you can also turn on or off Turn on remotely to allow another device to turn on the mobile hotspot when in range. Both your PC and any device must have Bluetooth turned on and be paired for the device to be able to remotely automatically turn on the mobile hotspot on your PC. If your Mobile hotspot settings are grayed out, try to click/tap on another setting (ex: "Data usage") on the left side and click/tap back on Mobile hotspot. 2) Enter a network password at least 8 characters long for this mobile hotspot. 3) Select to use the 5 GHz, 2.4 GHz, or Any available network band for this mobile hotspot. 4) Click/tap on Save when finished. 4. You can now give the network name and password to people that you want to share your Internet connection with when you have mobile hotspot turned on for your PC. You will see a list of any devices connected to your mobile hotspot. 3. Any devices currently connected to your mobile hotspot will now lose connection. 1. If you haven't already, you will need to set up Mobile Hotspot for how you want it in Option One. 2. Open the Action Center (Win+A). When this feature is on idle for sometime and doesn't detect a device connected, it disables itself. Do you know how to turn off this limitation? I tried looking in the registries but I'm not of much experience. ....... in my case the Mobile Hotspot turn on and off button is greyed out (see screenshot). Microsoft Hosted Network Virtual Adapter in Device Manager is also enabled. I'm trying to share my cellular network connection (USB Aircard). I can't find mobile hotspot on/off toggle in action center on my Laptop running anniversary update build 14393.105. Moreover I can't add it to quick actions. Any workaround to enable quick toggle would be a great help. Do you have the feature available in Settings? Does it show that you laptop supports this feature from using the command in the yellow tip box at the top of the tutorial? I can confirm as well that it appears the "Mobile hotspot" quick action seems to have been removed in the latest builds. Duly noted. It's typical of Microsoft who likes to remove feature that is user friendly. How does "Turn on remotely" thing works? My laptop and phone both paired via bluetooth, both devices bluetooth turned on, both devices running up to date OS. But laptop hotspot never turns on when I turn on wifi of my phone. I haven't played with the "Turn on remotely" feature to say for 100%, but if both the PC and phone has Bluetooth turned on and paired, then turning on mobile hotspot on the phone should also turn it on the PC so the phone can use the PC's mobile hotspot. Why should I turn on mobile hotspot on phone instead of turning on wifi? Moreover I can't turn on hotspot on mobile if cellular data is not turned on. All times are GMT -5. The time now is 19:45.